Directions: Exit 108 off I15, travel eastbound. The park is to the right after you cross the Snake River Bridge. The NBCRA caretaker is Tyler Draney, if you have any questions or would like to make reservations, you may contact them at 357-1895. 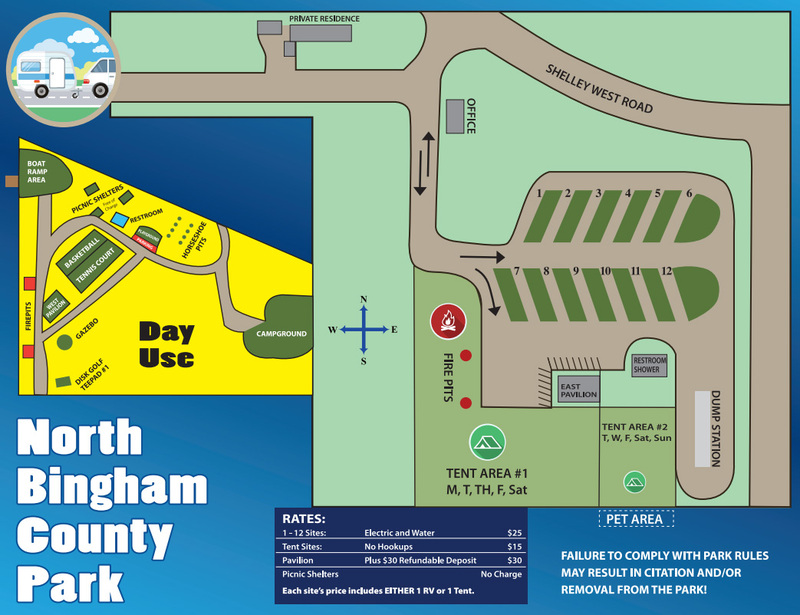 Whether you like to ride horses, picnic, camp, fish, learn about the past, or play baseball, this park has something for everyone. 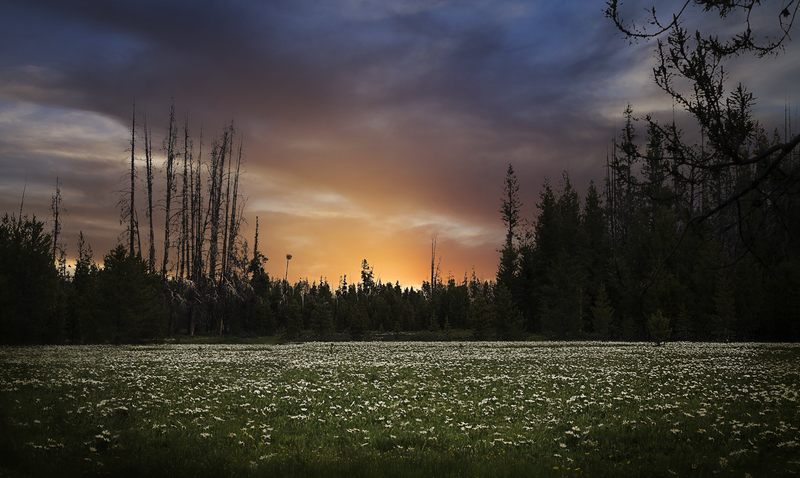 The Parks & Recreation Department and the IDaho Education Alliance for Solutions (IDEAS) Board have given their valuable time, blood, sweat, and tears to improve the park. in our community during the 19th Century. Our pioneer ancestors who lived and worked in this era created the foundation for modern society using simple timeless skills. At the park we are teaching traditional crafts from the past to help ensure that this way of life is preserved. 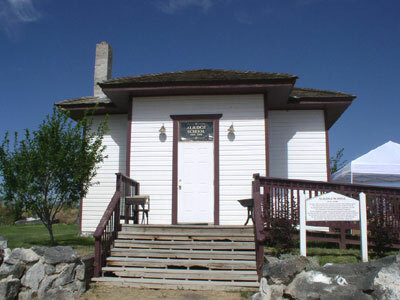 and significant community involvement, the schoolhouse was fully restored and now stands, not only as a reminder of the past, but also a meeting place for the present and the future. Educational Items were donated to the school to assist in providing an opportunity for those interested to learn how the school was used in the past. An old beat-up teacher’s desk was donated and the Board made a request to the community for assistance in refinishing it. Mr. O’Brady’s 2nd grade class in Shelley volunteered. The little kids worked on it in their classroom for many days. It was then taken to the high school to be stained. Lastly, it was brought back to the 2nd grade class for the last clear coat - or so they thought. When the 2nd graders saw the desk, they decided that the high school students had done a poor quality job. They re-sanded the desk and stained it themselves. Then, with their stamp of approval, it was brought to the school. a fun and unique educational opportunity for the public to gain insight as to how a General Store would have looked several years ago. The General Store was newly erected by the hard work of volunteers. Yep, volunteers! Construction of the General Store was completed in 2003. 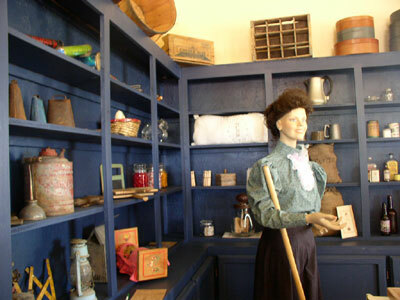 The general store is equipped with several historical items to help demonstrate how a general store would have looked in the past. 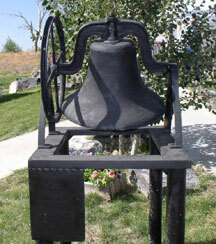 Items made by students in Shelley and others in Bingham County are for sale at the General Store. The Horse and Buggy Obstacle Course provides a variety of obstacles to help both trainer and horse. Fallen logs, a mailbox, a rain slicker on a pole, and fence sections strategically placed are some tests a young horse would face. The Rodeo Arena offers pens and chutes for calf or team roping. Horses may be exercised and trained in the two large round pens near the arena. It is used by local clubs almost daily. A Large Six-Stall Barn is now completed and has been constructed by the community and student volunteers. The barn serves as a learning center for classes involving livestock. Overnight campers and travelers transporting horses along I-15 may also use the barn for stalling horses for the night. An Experimental Farm is quickly being developed. Topsoil, surveying, and trucking were donated to aid in the development of this project. The Bingham County Road & Bridge Department hauled hundreds of tons of topsoil to create a seedbed. Mike Winston, IDEAS Board, plans to use a high-tech center pivot donated from a farming equipment company in Nebraska. The equipment will provide the students the ability to use satellite technology to operate the pivot. Mr. Winston also has plans for his students at Shelley High to plant experimental crops this spring to aid in the advancement of agriculture in our community. The latest seed and sprinkling technology will be researched by students and demonstrated to farmers and others in Idaho. The park also facilitates the annual Inherit Idaho Day, which celebrates and recognizes the efforts of those in our community who have helped solve some of our local problems or have helped and contributed to developing local resources. The IDEAS Board is continually developing plans for the park. The Board meets bi-monthly to discuss future projects. For more information, contact Jacqi Moulton at 346-6484, she would be happy to share her knowledge! 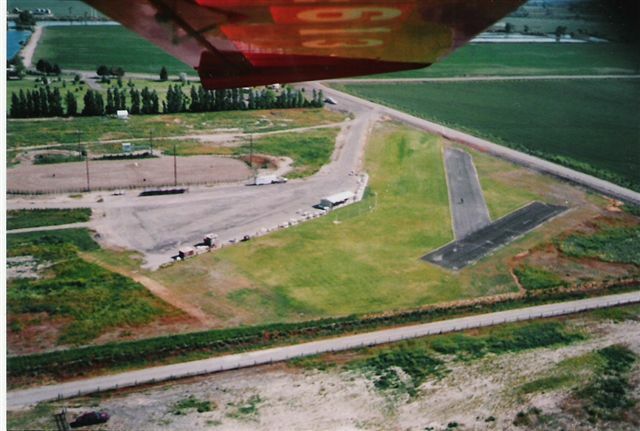 Since 1987, the Club has developed and maintained a flying facility inside the North Bingham County Recreation Area. 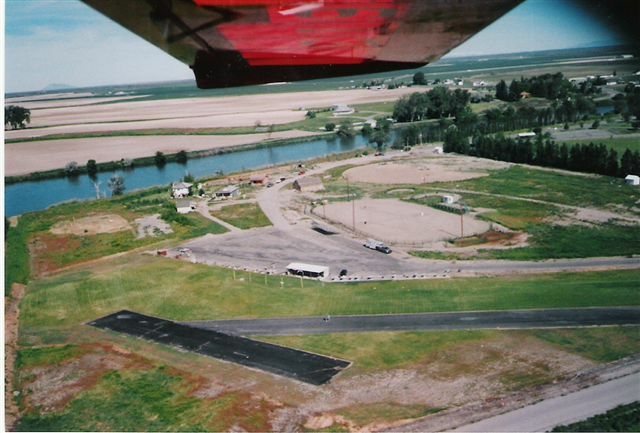 Located on about 6-acres, along the southern park boundary, the facilities improvements have an estimated value upwards of $200,000, and features: approximately two acres of grass runways and taxiways, a 500' x 40' asphalt runway, safety fencing, underground sprinkler and water system, shelter building, rest room facility, and a paved parking lot. To learn more about aero-modeling, or about the Red Baron R/C Modelers, please contact any member.